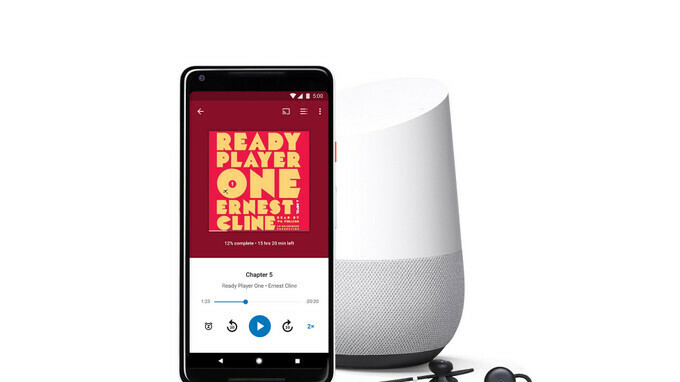 It looks like Google is going for Audible, as the search giant has decided to start selling audiobooks on the Play Store. The good news is the service does not require a subscription, but customers will have to purchase audiobooks individually. According to Google, audiobooks are now rolling out in 45 countries and they're available in nine languages. Consumers will be able to enjoy them on Android, iOS and the web via Google Play Books application. On top of that, smart speakers and other devices that include the Google Assistant can be used to listen to audiobooks as well. Google also offers a free preview of audiobooks so that you can find out whether or not you like it before spending your money on it. If you have a device with Google Assistant, you can now say “Ok Google, read my book” to listen to your favorite audiobooks hands-free. But there's more, as Google announced that Assistant integration with audiobooks goes deeper than that, so you'll be able to say “Ok Google, stop playing in 20 minutes” to set a timer, or “Ok Google, who is the author?” to remind you info about the audiobook you're listening to. Such deep Google Assistant integration with audiobooks is only available on Android phones and smart speakers in English, but the search giant confirmed it will be rolled out to the Assistant on Android Auto in the US very soon. Finally, listening to audiobooks across multiple devices is possible as well, which means you can pick up where you left off no matter what device you're using (Android, iOS, Chromecast, Android Wear, Android Auto).